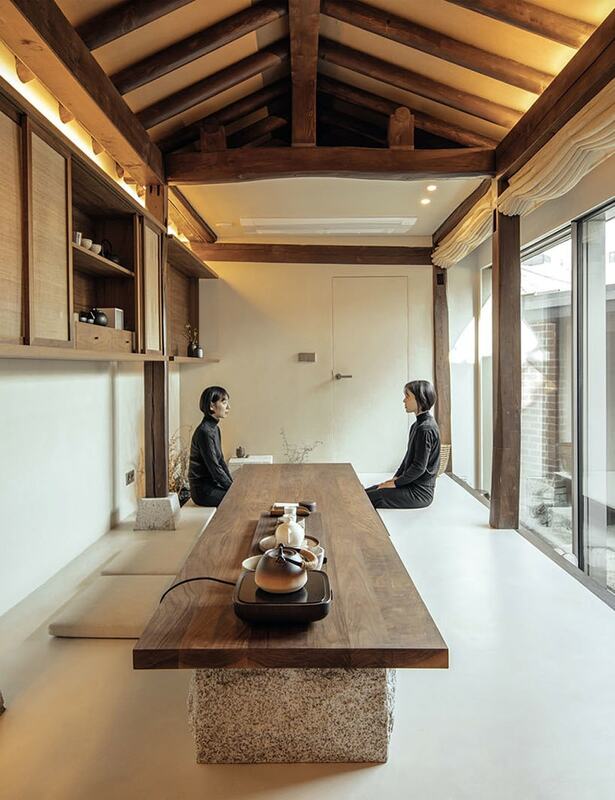 Near the center of Seoul, South Korea, a small inn embodies the beauty and spirituality of the place in a small facility. Designed by the studio Z-Lab, the house has an area of just 30 m2, and stands out for its essential use of spaces, in a restful, meditative atmosphere. 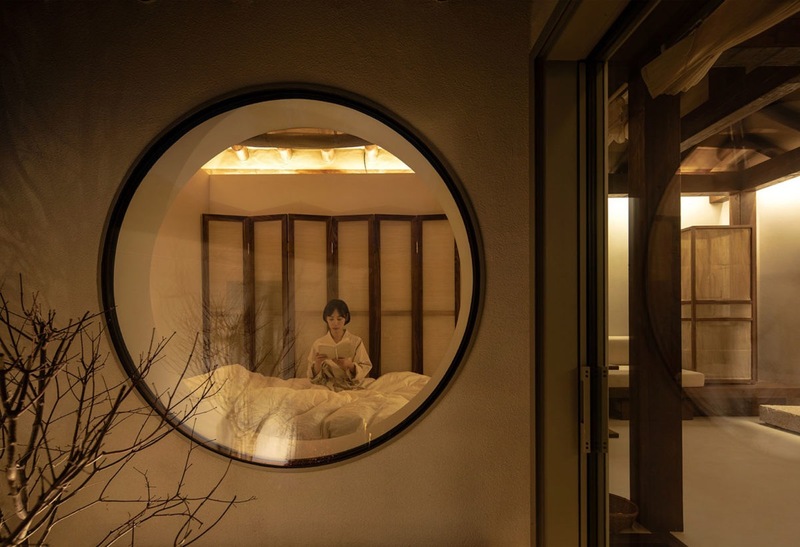 The compact facility is composed of small spaces that communicate with each other: a traditional garden, a large entrance with sliding doors, a big table for the tea ceremony and a ‘water space.’ To the left, there are places for relaxing: a reading and meditation space, a bedroom facing the outside world through a large window. The bathroom is to the right. Precise choices make it possible to exploit the available space. The materials are natural, featuring the use of wood and stone, selected for the base of the table, displaying decorative pottery. To bring a sense of continuity, visually expanding the rooms, the choice has gone to the Microtopping cementitious polymer solution by Ideal Work in the color White. 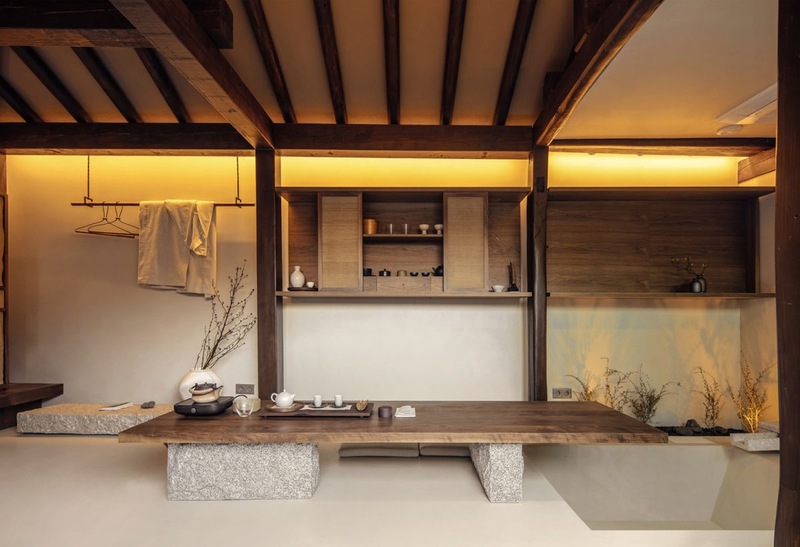 With its sober contemporary elegance, it clads the floors, walls and bathroom, providing a perfect backdrop for the natural materials and the furnishings.